Realizing the potential of emerging technologies to improve your commercial operations requires knowledge and resources. Zylter's Commercial Technology Life Cycle identifies the steps required to identify, deploy and support the unmanned systems and other emerging technologies you need. Our Support Services provide a range of alternatives to deliver the knowledge and resources to meet all your life cycle requirements. Zylter provides data-driven analysis based on detailed analysis of user requirements and system capabilities. We developed a data-driven algorithm to quickly assess 125 UAS options and identify the best UAS options for specific use cases. The Zylter algorithm uses 72 data points to describe each UAS and 26 user requirements to prioritize your use-specific needs. We developed these rankings are based on our independent analysis to help current and potential UAS users identify the best UAS models for additional consideration. Our rankings are not sponsored by and are not intended to promote any UAS manufacturer or model. Commercial technology requirements are based on your specific industry, intended use and location specific factors. 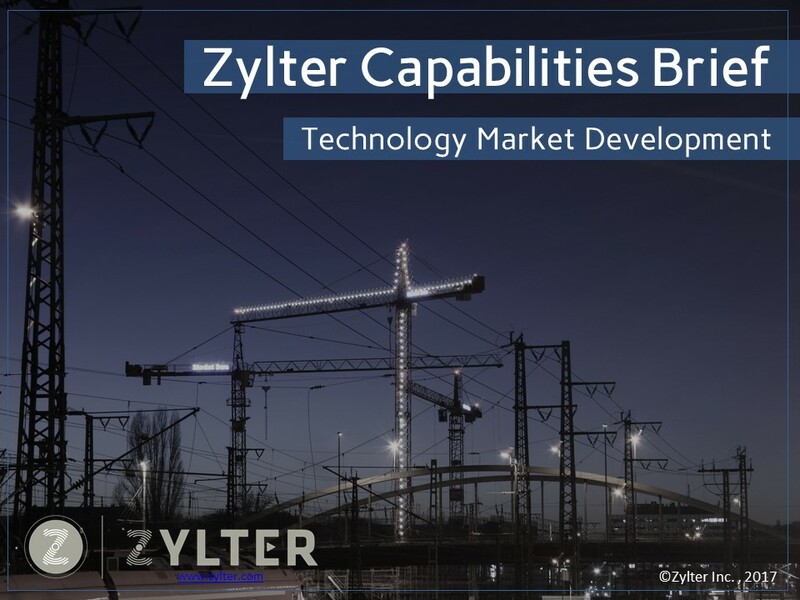 Zylter draws on our network of analytic expertise, field experience and industry relationships to address your specific technology planning, development or deployment needs. We can provide the use-, product-, and market-focused analysis to guide your emerging technology implementation. Understanding your operating environment and user-specific needs is fundamental for generating commercial value with emerging technology. This requires both technical understanding of technology options and detailed understanding of your company's operating context. We deliver both through onsite planning and deployment support. Zylter draws on an extensive network of expertise, product developers and service providers to address your industry- and use-specific needs. Zylter applies data-driven market insights and user perspectives to identify and develop new markets for your commercial tech products and services. Zylter also provides user-centered design based on data analysis and field research to guide development of next-generation professional UAS products and the services required to meet market demands.